This Shark Rotator Freestyle Cordless Upright Vacuum is powerful enough for your household cleaning tasks, yet weighs only 7.5 lbs. It features a two-speed brushroll for optimal carpet and bare floor cleaning and pet hair pickup. This Shark upright vacuum has an XL-capacity dust cup that is easy to empty and allows for extended cleaning without interruption. Place on the precision charging stand when you are finished to recharge its battery and get it ready for your next cleaning session. The charging stand included with this Shark Rotator Freestyle Cordless Upright Vacuum can also be used as a storage dock. 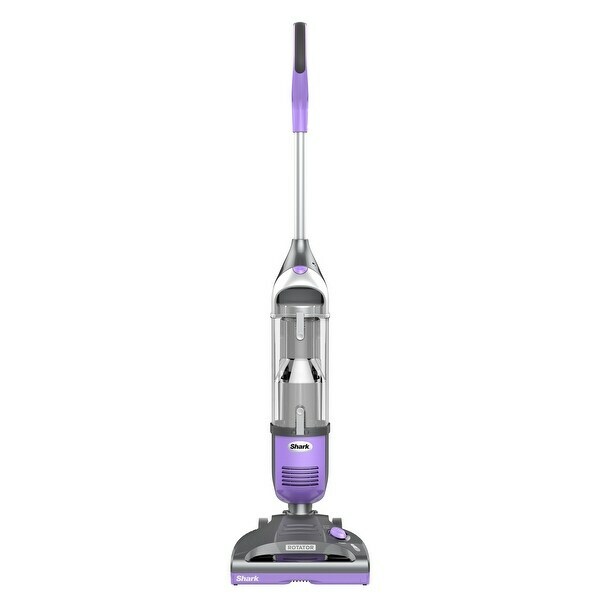 It delivers the performance and the convenience you need for everyday cleaning tasks.